We’ve had such a fantastic year, and are so grateful to be back in Texas, spending time with friends and family, while at the same time getting to share with our loyal followers. It’s hard to believe that two years ago, we left Las Palmas bound for Miami, crossing the Atlantic. 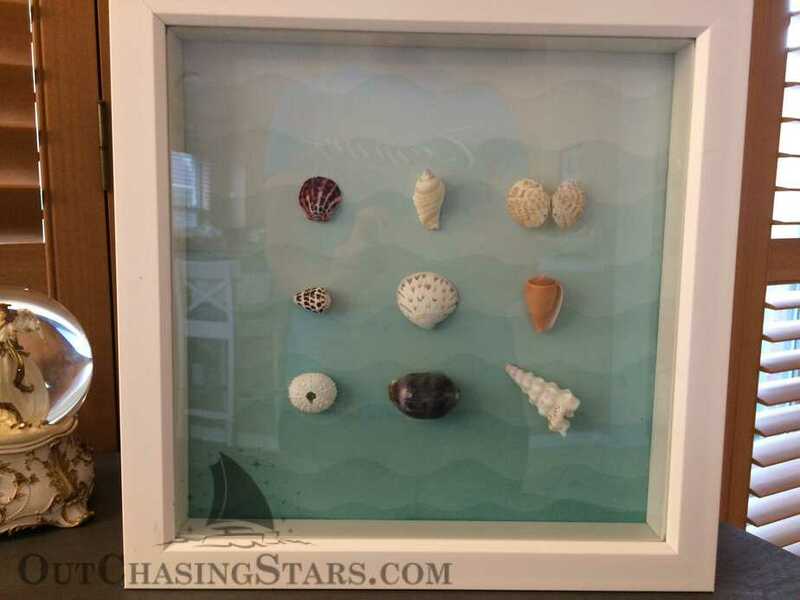 We don’t keep a lot of knick-knacks on Starry Horizons, but I have been collecting shells as we move along. I found the shells in the South Pacific to be way more interesting than the Caribbean. 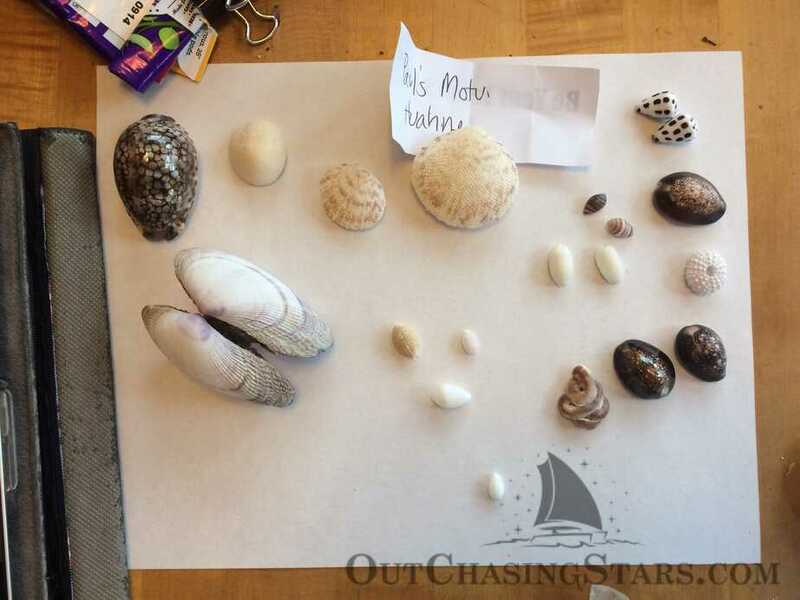 You can only collect so much, though, so I thought it would be good to share some of our best beach finds. 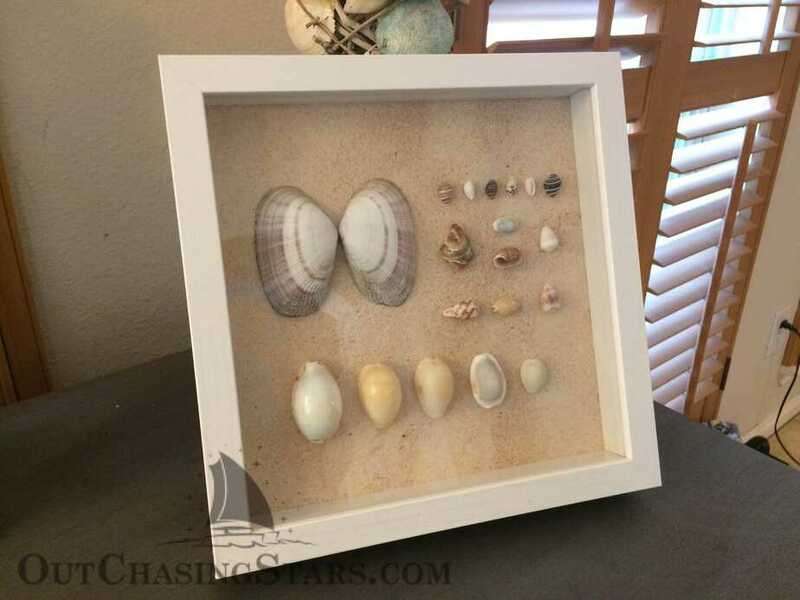 As we went, I collected and cleaned only my favorite shells from the beach. I NEVER picked up a shell in the water; only from the beach, and only shells that were empty. While I did soak the shells and check them to make sure they were empty, I never picked up a live one on accident. Once they were clean and dry I put them in jars packed with cotton balls and labeled the jars with the location. I tucked the jars away, but I did pull them out for any customs officials that asked. New Zealand asked but once they saw that all the jars were small, they told me not to bother opening the jars. 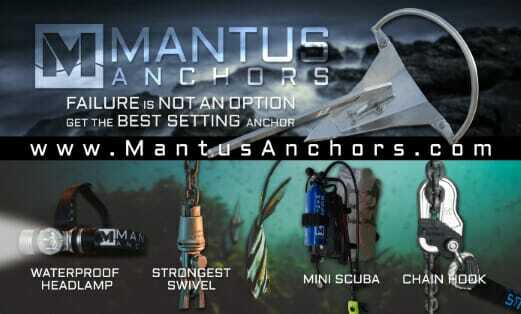 I think they were looking for large coral or larger endangered species. In the States I laid the shells out on a table and got to work. 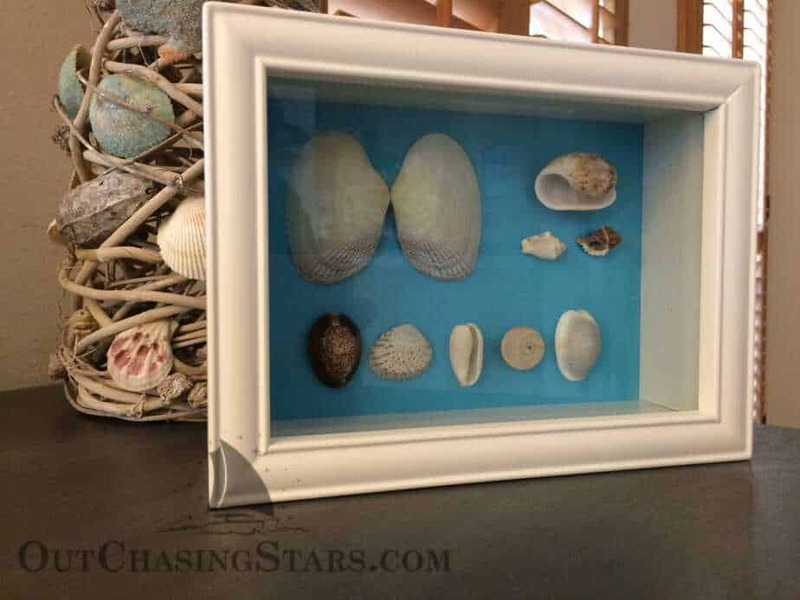 I had bought shadow boxes and patterned backgrounds to display the shells. I also bought spray on acrylic, hoping to make some of the shells shiny. While it did as more luster to a few of the cowries, nothing beats the natural shine. Cowries that recently died haven’t been worn by waves and sand, and therefore have a beautiful polish. Shells from Huahine. Check out the natural shine on the cowrie in the top left, compared to the cowries on the right. 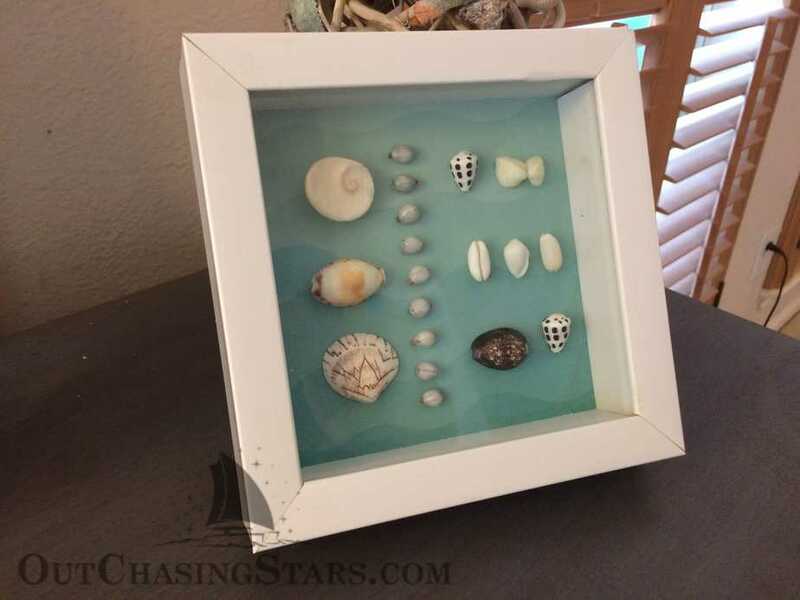 I spent some time arranging the shells and glued them down with craft glue. 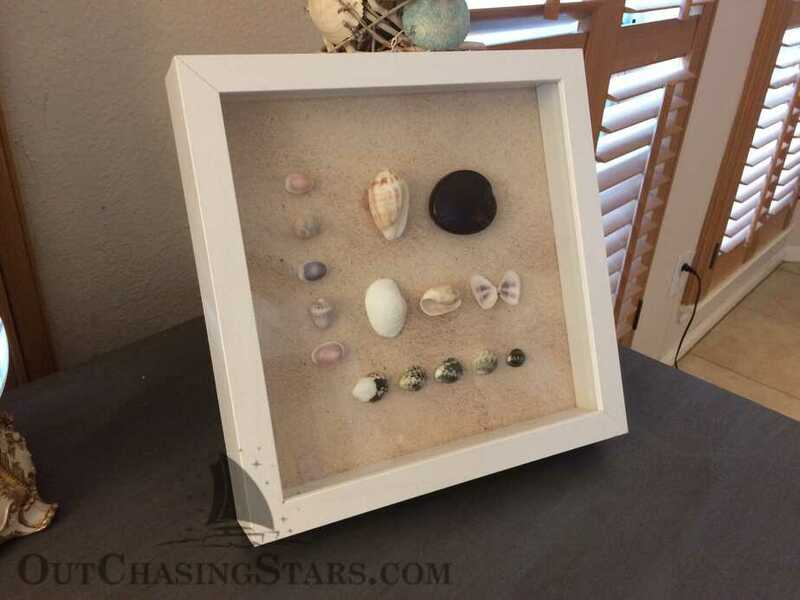 Then I tried my best to investigate what type of shells each one was and created labels for the back of the frames. We loved being able to give out a physical reminder of our trip, hand-picked by us! 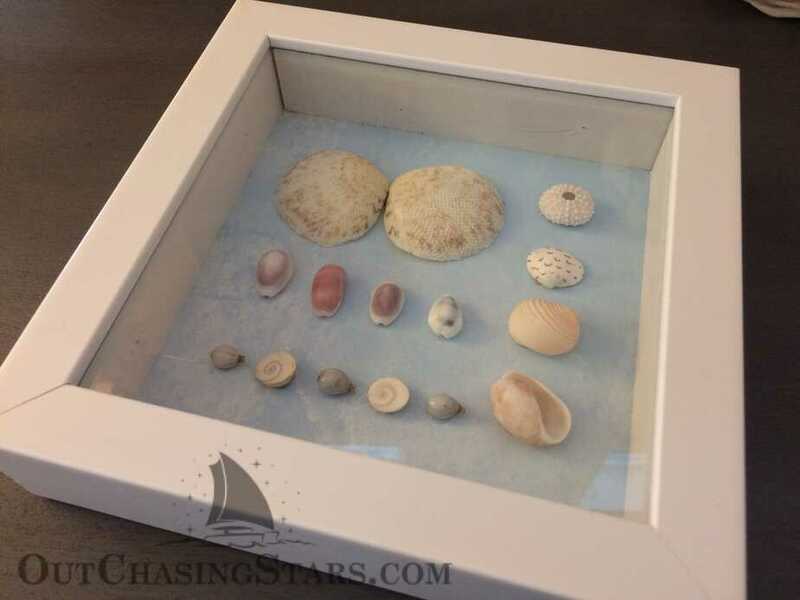 Amy, what a beautiful way to share your sailing adventures with others. I will cherish your gift with such fond thoughts. Thank you and David for a wonderfully thoughtful work of art and love. Hi Bob! So great to hear from you! Merry Christmas, and I’m so glad you are keeping up with us! 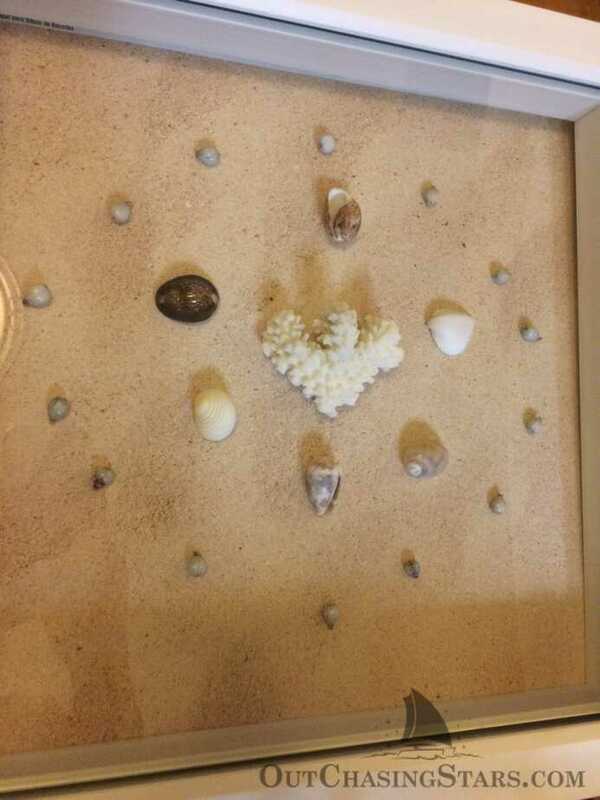 I love my shadow box! 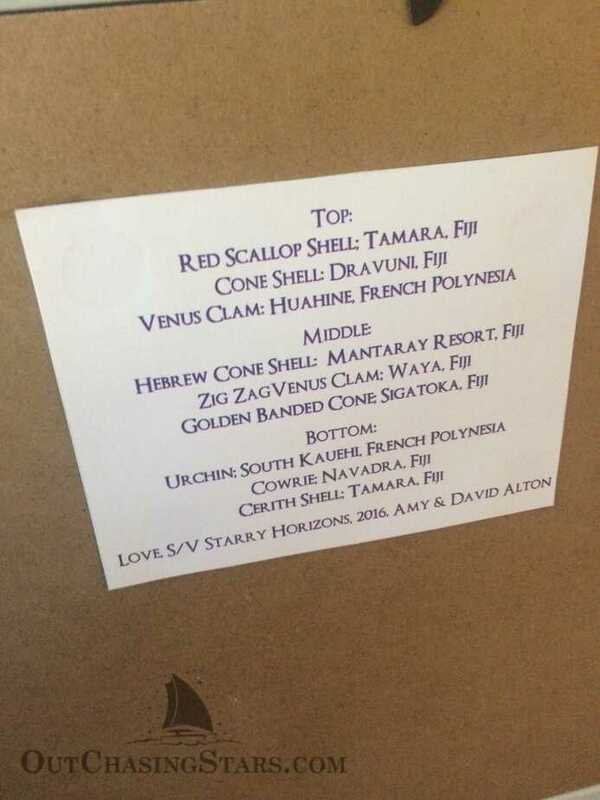 Being a life long shell collector, I always enjoy a gift of shells, but these are extra special! I’m glad you love them mom! !